WAYCROSS, GA (April 21, 2014) – The Lucas Oil Late Model Dirt Series will return to action this weekend with two single day shows. The series will travel to Hagerstown, MD on Friday, April 25th for the running of the 33rd Annual Stanley Schetrompf Founders Day Classic at the historic Hagerstown Speedway. Hagerstown Speedway, known as the “Capitol of Dirt Racing” will host the nation’s best dirt late model drivers, along with an always-stout group of regional drivers for the ninth time in series history. An impressive streak of eight different winners in eight races at Hagerstown is on the line with Jimmy Owens of Newport, TN returning as the defending champion of this event. 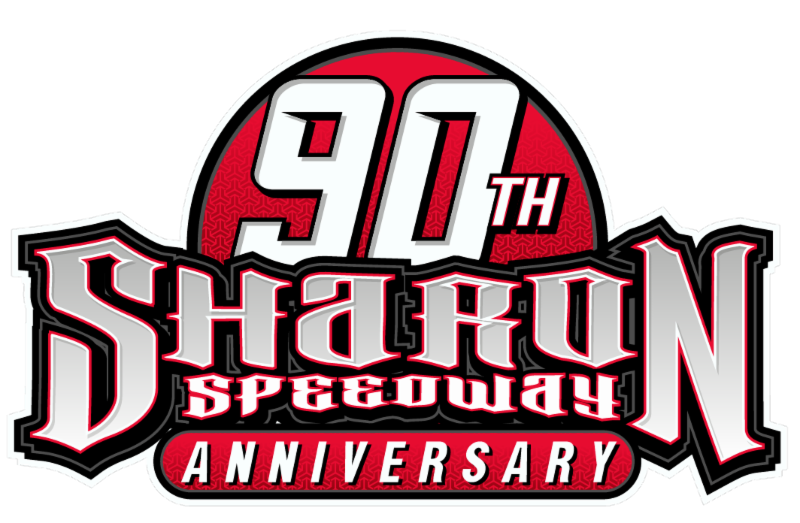 The 33rd Annual Stanley Schetrompf Founders Day Classic will include a complete show with Miller Welders Time Trials, Heat Races, B-Mains, and $10,000 to win 50-lap feature event. Joining the LOLMDS as support classes at Hagerstown Speedway will be the Late Model Sportsman, Pure Stocks and Rookie Divisions. Pit gates will open at 2 PM with Grandstand gates opening at 5 PM and Hot Laps scheduled at 7 PM. For tickets and more information about the 33rd Annual Stanley Schetrompf Founders Day Classic, visit the track website at www.hagerstownspeedway.com or call the track office at (301) 582-0640. On Saturday night, April 26th, the Lucas Oil Late Model Dirt series makes its fourth appearance at the Rick Jones-promoted Roaring Knob Motorsports Complex in Markleysburg, PA. Scott Bloomquist of Mooresburg, TN has two series wins at this track with Jimmy Owens of Newport TN winning last year’s event at the 3/8th mile oval. The stars and cars of the LOLMDS will battle some of the toughest regional racers from that area at Roaring Knob Motorsports Complex. There will be a complete show with Miller Welders Time Trials, Heat Races, B-Mains, and a $10,000 to win 50-lap feature event. Joining the Lucas Oil Late Model Dirt Series at Roaring Knob will be the RUSH Late Models and Street Stock divisions. Pit gates at Roaring Knob will be open all day with Grandstand gates opening at 4 PM. There will be a driver autograph session from 5 PM to 5:45 PM. Hot Laps are scheduled to begin at 6:45 PM. For tickets and more information about the event at Roaring Knob Motorsports Complex visit the track website at: www.roaringknob.com or call the track office at (724) 329-0306. Promoters Ernie Davis and Rick Jones have also added a $1000 bonus for this weekend’s events. The highest finishing driver in the LOLMDS event at Hagerstown Speedway that participates in both LOLMDS events this weekend and has competed at least twice at either Hagerstown Speedway or Roaring Knob Motorsports Complex will earn an additional $1000 cash. “The series is looking forward to this weekend’s two race swing into the Appalachians. Both tracks will provide some exciting racing action for the great fans in those areas. Ernie Davis and Rick Jones have worked hard to put together a great weekend of racing and a nice bonus for the local racers that compete at those tracks,” stated Ritchie Lewis, Series Director. Don O’Neal of Martinsville, IN will lead the contingent of Lucas Oil Late Model Dirt Series stars into this weekend’s events. O’Neal will be sporting the Keyser MFG, Day-Glo Orange spoiler as the current series points leader on Friday night, April 25th at Hagerstown Speedway. O’Neal leads Earl Pearson Jr., Eddie Carrier Jr, Steve Francis and Jimmy Owens in the chase for the LOLMDS National Championship. Rounding out the top ten in series points is Scott Bloomquist, Ray Cook, John Blankenship, Brian Shirley, and Jared Landers. In the chase for the Dunn-Benson Ford Rookie of the Year Title, Randy Weaver leads a tight battle over Jason Hughes and Jason Papich. $10,000 to win- 1. $10000, 2. $5500, 3. $3500, 4. $2750, 5. $2250, 6. $1800, 7. $1500, 8. $1300, 9. $1200, 10. $1100, 11. $1075, 12. $1050, 13. $1025, 14. $1000, 15. $950, 16. $925, 17. $900, 18. $875, 19. $850, 20. $825, 21. $800, 22. $800, 23. $800, 24. $800. Founded in 2005, the Lucas Oil Late Model Dirt Series is the nations’ premier dirt late model sanctioning organization. In 2014 the LOLMDS will sanctions 47 events in 19 states. The series is owned by the parent company Lucas Oil Products Inc. and receives national exposure through a TV package filmed, produced and edited by Lucas Oil Production Studios. LOLMDS events will be broadcasted on four TV Networks in 2014 including CBS, NBC Sports, CBS Sports Network and MAVTV American Real Network. For more information about the Lucas Oil Late Model Dirt Series visit the official website atwww.Lucasdirt.com. MAVTV was founded in 2002 by four former Showtime Networks executives and was originally geared towards a male dominated audience. In 2011, Lucas Oil Products, an automotive lubricant manufacturer with a history in television production, purchased MAVTV. Lucas Oil was eager to employ the same growth strategies to transform MAVTV into a premier cable network that it employed to grow the lubricants business. MAVTV aims to become a broader scoped network, geared towards the modern American family. Lucas Oil is investing in programming, an updated on-air look, and increased production quality, all to add more value to the viewer experience. MAVTV is an acronym that stands for Movies, Action and Variety. MAVTV brings you plenty of never-before-seen high definition exclusives, including Comedy, Movies, Action Sports, Adventure and More, all in fantastic HD detail. MAVTV is no ordinary television network. It’s a 24/7, high-definition entertainment extravaganza, featuring everything from blockbuster films, high octane motorsports, MMA fighting, gaming, gut busting comedy, original reality shows and scripted dramas. Learn more about MAVTV American Real go towww.mavtv.com. Founded in 1989 by Forrest and Charlotte Lucas, Lucas Oil Products, Inc. has established itself as one of the fastest-growing lubrication product lines in the consumer automotive aftermarket, featuring a line of engine oils, greases, gear lubes, problem-solving additives, and car-care products. Through innovative product research and development, along with aggressive marketing programs, Lucas Oil has established itself as a worldwide leader in the lubrication industry. Motorsports has always been part of the Lucas Oil culture and the cornerstone of the company’s marketing strategy. Such passion for motorsports has inspired Lucas Oil to sponsor many race teams, events and series at all levels, including, NHRA, IRL, ASCS, NASCAR, IHRA and many more. Lucas Oil has also taken ownership and operational control of a number of high profile racing properties, such as: Lucas Oil Off Road Racing Series, Lucas Oil Drag Boat Series, Lucas Oil Pro Pulling League, Lucas Oil Late Model Dirt Series, Lucas Oil Modified Series, Lucas Oil Speedway in Wheatland, MO. and the Lucas Oil I-10 Speedway in Blythe, CA. In 2007 Lucas Oil founded its own production house, Lucas Oil Production Studios, dedicated to producing high action motorsports television. Currently Lucas Oil Production Studios produces over 300 hours of original programming for networks such as CBS, CBS Sports, NBC Sports and MAVTV. More information about Lucas Oil Products, Inc. visit the company website at www.lucasoil.com.